And so began the mystery that was Captain Atom’s secret identity. Often in those Charlton books he would be referred to as Allen Adams. Just as often he would be Allen Adam. It is pretty clear from the first appearance that Joe Gill and Steve Ditko intended for him to be Allen Adam (Captain Adam and Captain Atom sound virtually the same when spoken aloud), but continuity was not an important part of Charlton Comics in those days. 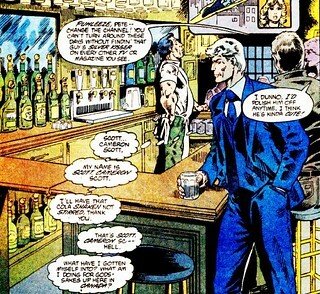 In 1982, the character appeared in an issue of Charlton Bullseye written by Dan Reed and Benjamin Smith. In this comic he was referred to as “Colonel John Adam.” This version of Captain Atom never reappeared. 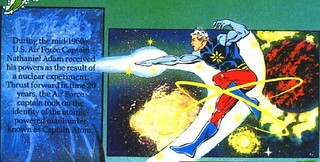 Captain Atom had a brief mention in The History of the DC Universe Book Two in 1986. 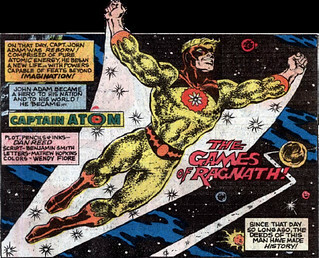 There he was first referred to as “Nathaniel Adam.” The picture used with this entry was of the Bronze Age Captain Atom, but the text gives the origin of the Modern Age Captain Atom. 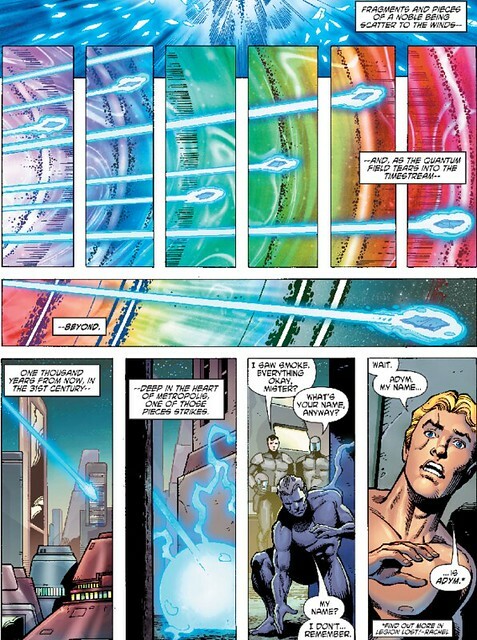 The next year, DC Comics launched a new Captain Atom series written by Cary Bates with art by Pat Broderick. 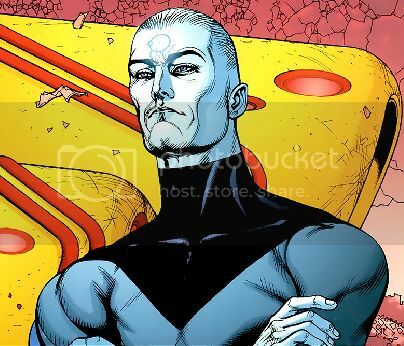 This new Modern Age Captain Atom was named Nathaniel Christopher Adam. However, confusing matters even further, his civilian identity was Cameron Scott. This fake identity was established by the U.S. government to cover up the fact that Nathaniel Adam was still alive and serving as a super-spy super-hero. In later appearances of the Bronze and Silver Age Captain Atom in DC Comics his civilian identity would sometimes also be referred to as “Nathaniel Adam” or even “N. Christopher Adam.” The Adams thing still hung over his head, though. 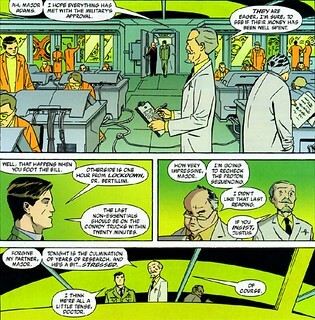 In Convergence: Blue Beetle #2 (by Scott Lobdell and Yishan Li), he is referred to as “Adams” despite calling him Adam in the previous issue (mistake or intentional nod to Charlton Comics?). 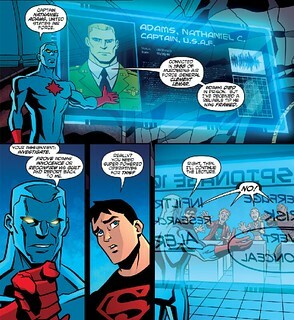 The New 52 Captain Atom was also named Nathaniel Adam. However, in The Fury of Firestorm: The Nuclear Man #15 by Dan Jurgens, he appeared to be ripped apart, and his particles were spread out across time and space. 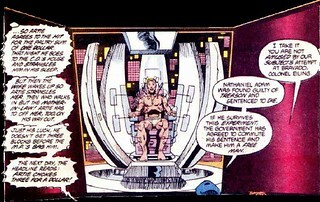 Part of his essence ended up in the far future and found a home in Legion Lost as Nathaniel Adym of the Science Police. 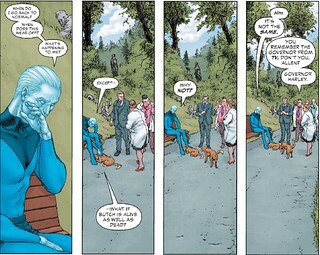 When Captain Atom appeared in Grant Morrison and Frank Quitely’s The Multiversity: Pax Americana, his civilian identity was once again Allen Adam.